Established in 2010, Slated is an Irish family owned and run luxury artisan homeware brand handmade in Dublin, Ireland. Founded by husband and wife team Ed and Tara Hammond, Slated creates beautiful slate homeware inspired by tradition. Ed Hammond comes from a long line of Master Slate Craftsmen whose traditional techniques and values have been passed lovingly from father to son since the beginning of the 18th Century. For generations the Hammond family have been renowned all over Ireland for their work roofing some of the country’s most iconic buildings. Inspired by the natural beauty of the slate, Tara saw the potential to create refined slate homeware. All Slated pieces are made using artisan techniques and methods, each piece meticulously handcrafted with a precious family heirloom, a 150 year old Slater’s Knife that has been passed from generation to generation of Hammonds. Each Slated piece is completely unique due to the natural integrity of the stone and as slate is an incredibly durable stone formed over millions of years each piece will last for generations. 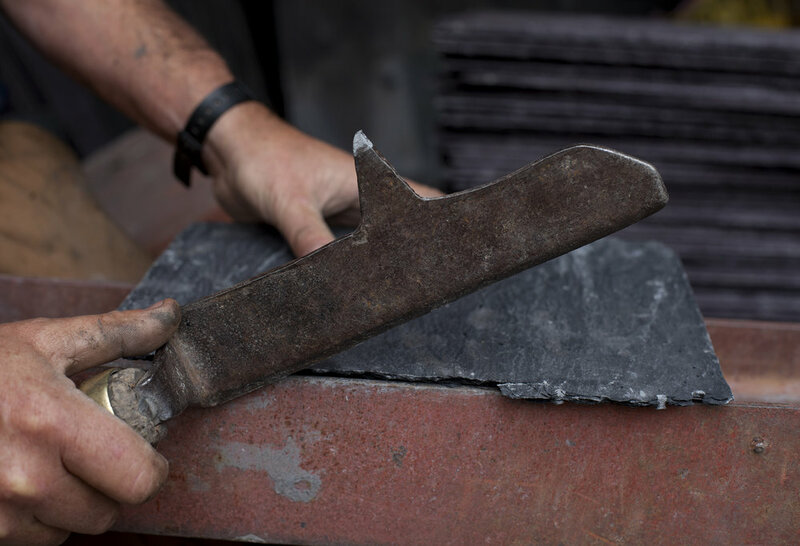 Slated is the only company in Ireland producing slate tableware in this age old method and they hand make everything from stunning cheese boards to striking candle holders in their Dublin studio. Over the years Slated have continued to push design boundaries and have introduced other complementary natural materials such as copper and Irish wood that complement and enhance the beauty of their slate pieces. Each item is meticulously handcrafted with a family heirloom, a 150 year old Slater's Knife that has been passed from generation to generation of Hammonds. Coming from a long line of Master Slate Craftsmen, Slated is preserving this 18th century tradition through contemporary tableware. Each piece is completely unique due to the natural integrity of the stone. Slate is an incredibly durable stone formed over millions of years.